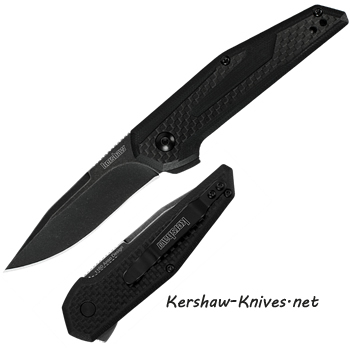 Kershaw Fraxion 1160. This contemporary and stylish knife has been designed by Danish custom knife and toolmaker, Jens Anso. 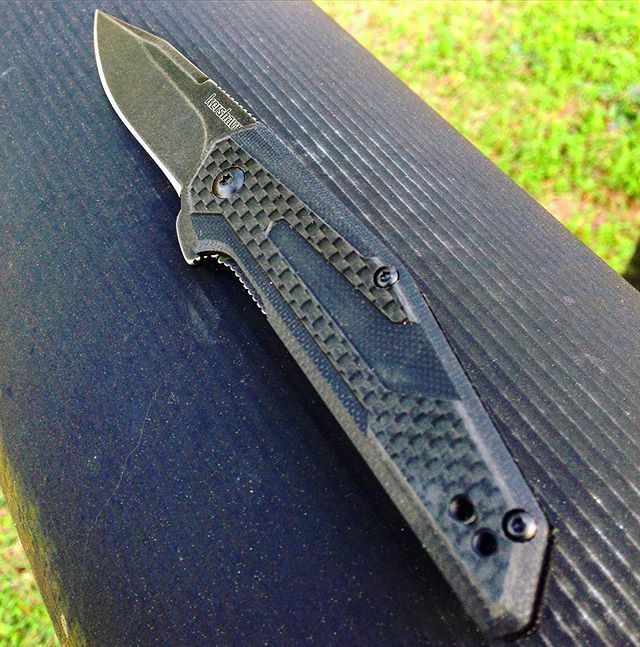 He has designed the handle to have G-10 scales and carbon fiber overlays. This is a fantastic way to enhance beauty and make this knife lightweight- a fraxion less than most knives this size. The black wash finish on this 2.75 inch blade will help keep everday scratches to a minimum. The steel is made with 8CR13MoV with a black-oxide BlackWash finish. This does open the good old manual style- KVT manual opening- but there is a small flipper on the back as well. The Fraxion will be one knife you can not be without. Pocket clip can be changed from left to right. Even though this knife is a manual folder, it opens just as fast as an assisted opener thanks to the flipper on the back of the handle. In fact one of our staff mistakened this knife for an assisted opener when unpacking it for the first time!